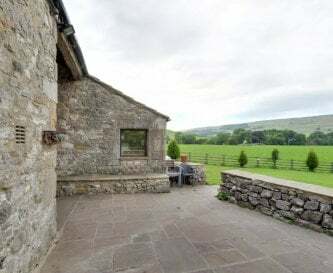 Skirfare Barn, Kilnsey, North Yorkshire, sleeps 8-20 in 5 bedrooms. 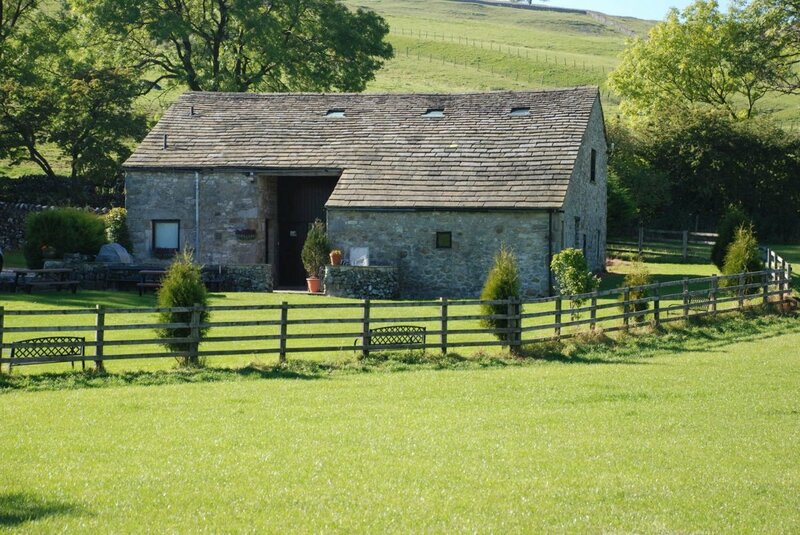 A warm welcome to Skirfare Barn in the heart of the Yorkshire Dales. 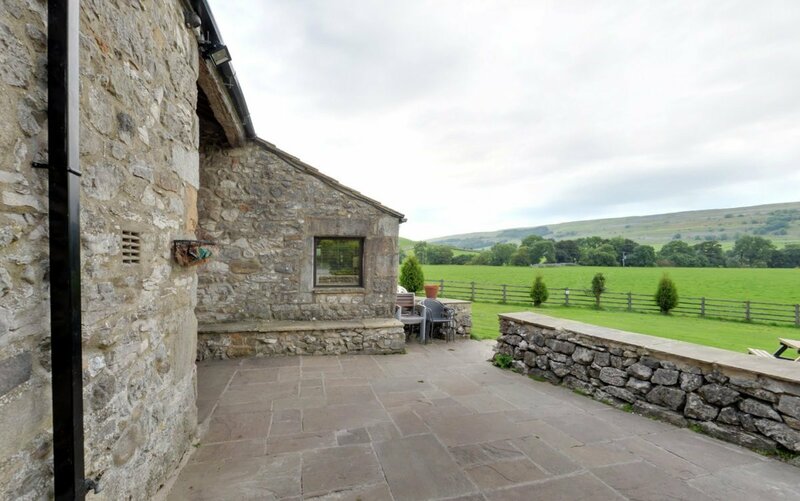 Surrounded by the beautiful limestone scenery of Upper Wharfedale this picturesque traditional stone barn, sleeping up to 20, has been sensitively converted by local craftsmen to provide convenient, flexible and comfortable group accommodation for families and friends in a peaceful, private and charming rural Dales setting. 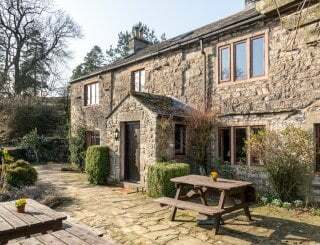 Located midway between bustling, vibrant Grassington and the charming riverside village of Kettlewell, the Barn provides the perfect base for exploring the many delights of the Yorkshire Dales. 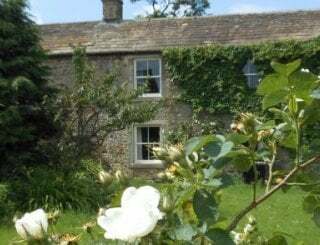 After a busy day enjoying the honey pot attractions of Grassington or Kilnsey, return to the peace and quiet of the upper dale and enjoy the seclusion of the relaxing gardens. 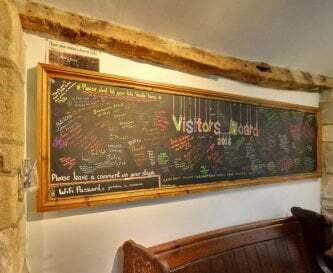 The famous Tennant Arms bar and restaurant is only a 10 minute walk away and provides local real ales and excellent bar meals should you choose to have an evening down the pub. 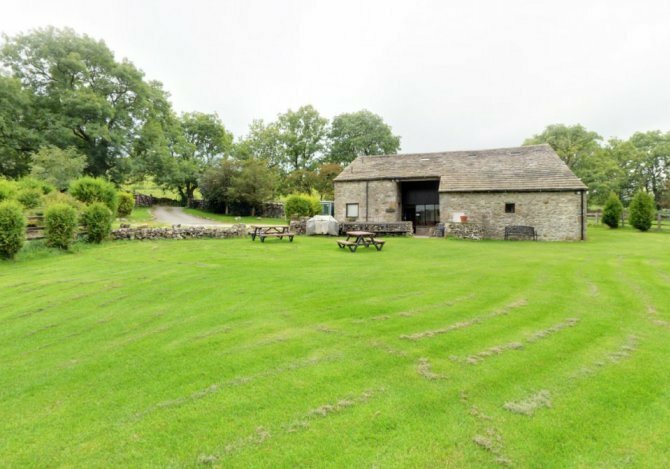 Just a 10 minute drive and you can sample all that Grassington and Kettlewell have to offer! 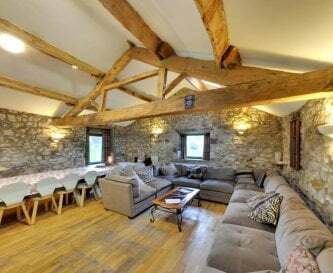 The bunk barn accommodation consists of a spacious stone flagged entrance hall, a cosy, oak beamed sitting/dining room with exposed stone walls, a new fully fitted kitchen area with modern appliances, separate wash rooms with toilets and showers and a drying/cloakroom. 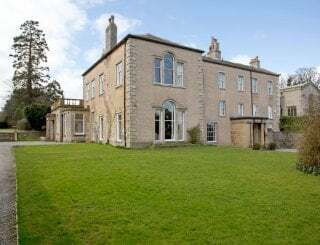 There is TV with Freeview and DVD player in the sitting/dining room, plus a large flat screen TV with Freeview, DVD and connections for a games console in the large bedroom. Free unlimited WiFi available. 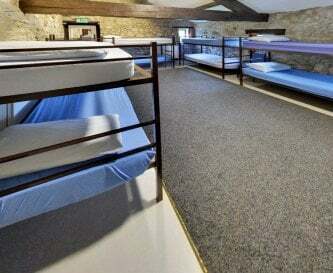 5 bedrooms sleeping 20 people all beds with memory foam mattresses. 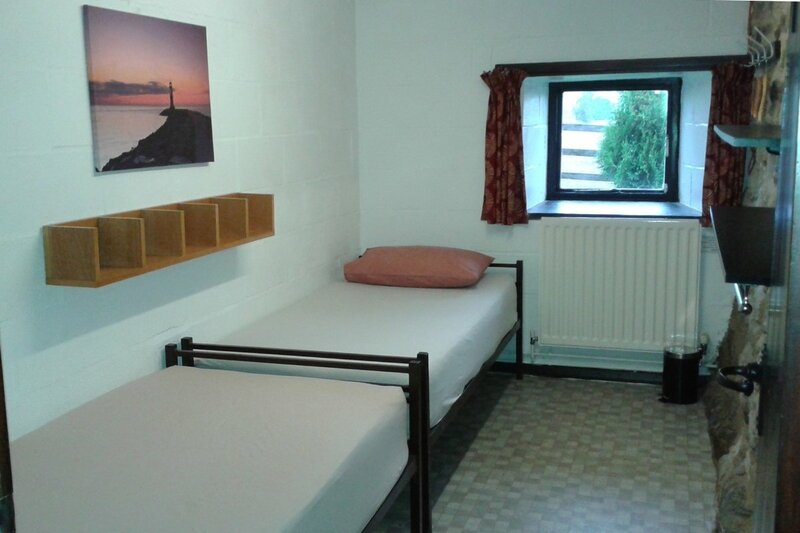 For those wanting a little more privacy we have 2 twin bedded rooms, 2 rooms sleeping 4 people & a room sleeping 8. All beds have a clean pillow, pillow case & fitted sheet. Please bring your own sleeping bag or quilts/covers. 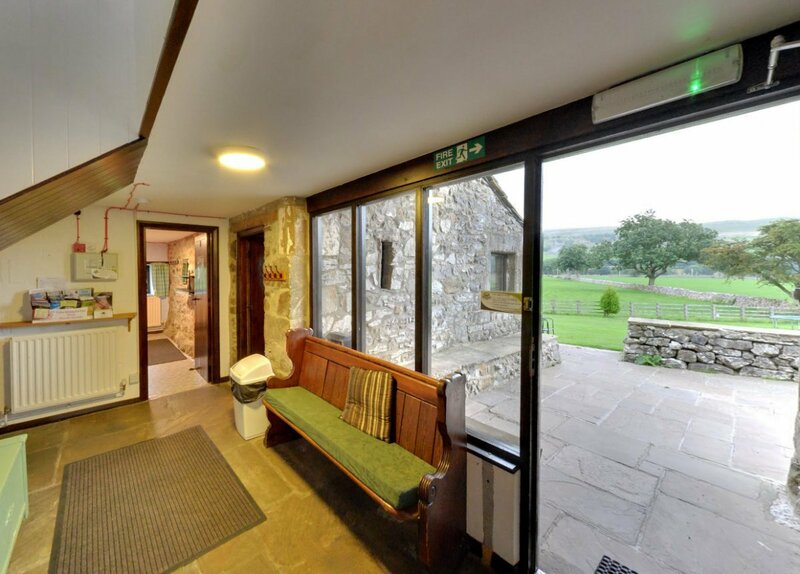 The barn is centrally heated throughout with thermostatically controlled radiators. 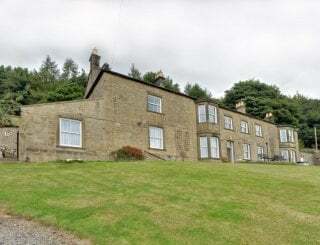 All central heating, lighting, electric and hot water is included in the price. 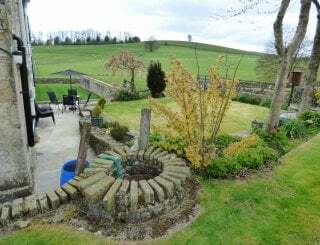 The barn is situated within it's own spacious gardens with stunning views of the Wharfe valley. There is ample parking, a patio area, lawns and fully installed barbecue facilities. 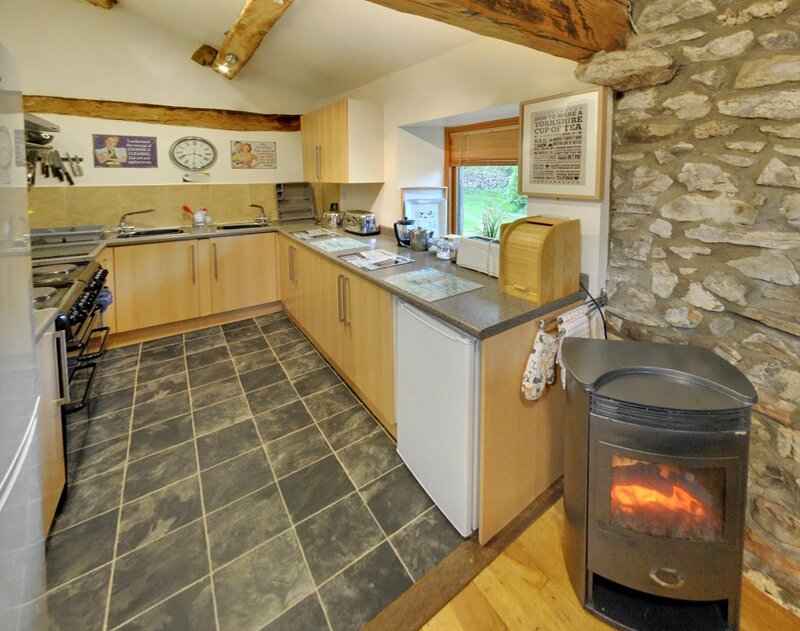 A modern kitchen fully stocked with utensils and crockery for 20 people. 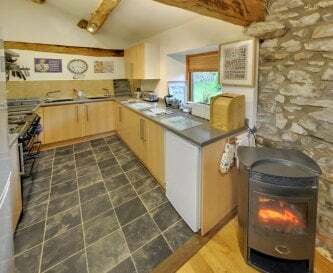 8 hobs, 2 ovens and grills, microwave oven, fridge, large fridge freezer. 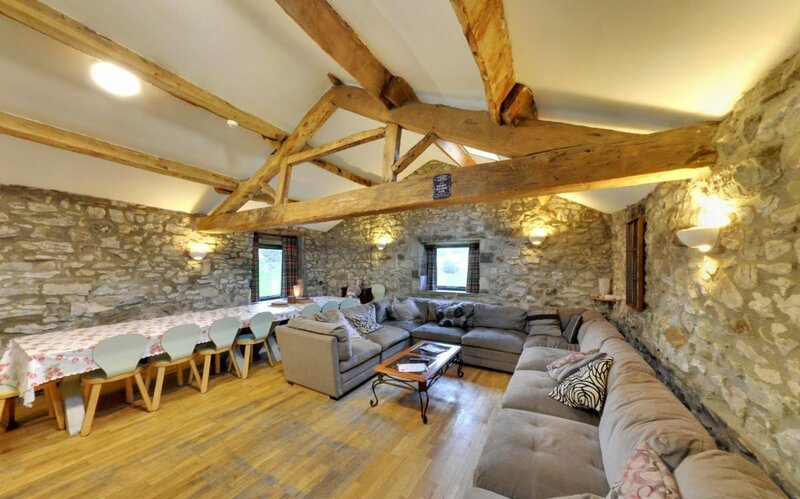 Is incorporated into the sitting room and has seating for 20 around one large solid oak dining table. 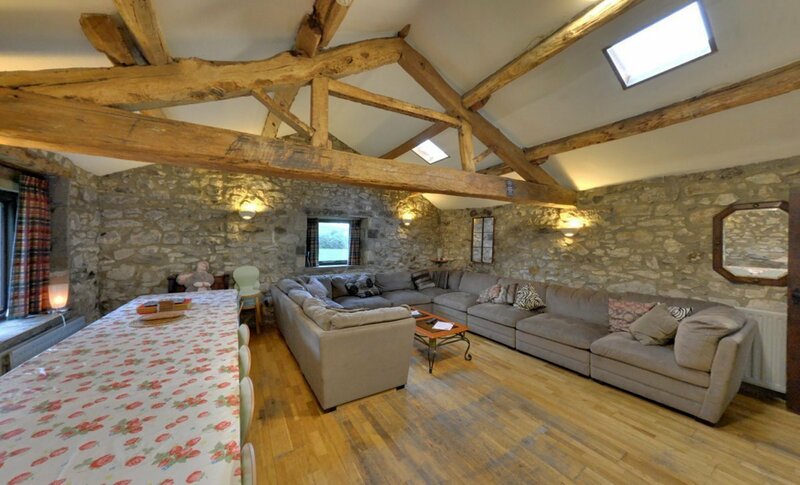 Exposed stone walls and beams. Cosy lighting with wall uplighters and table lamps. 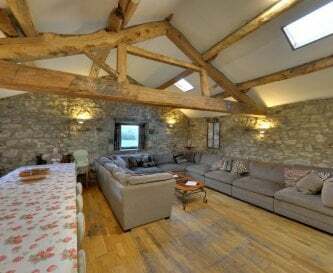 Comfortable 20 seater sofa, coffee table and views of the dale. 40" TV with Freeview and DVD player in the sitting room. 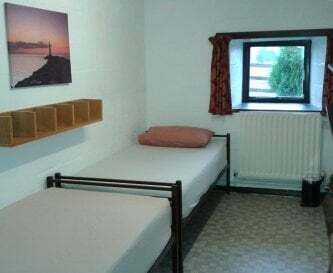 Large wall-mounted flat screen TV with Freeview and DVD player in large bedroom. Free unlimited fast business WiFi. Cell coverage and 3G on some networks. 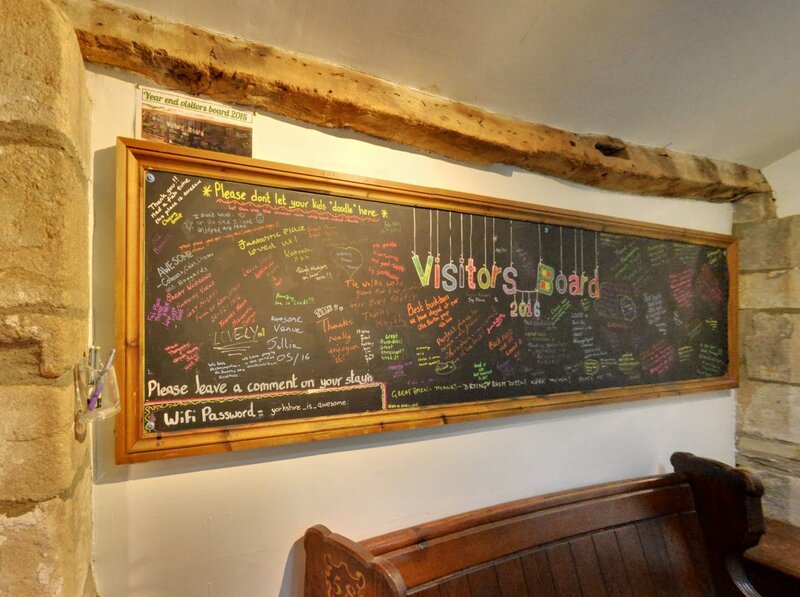 Large whiteboard in sitting room. Full central heating. Feature electric fire in sitting room. 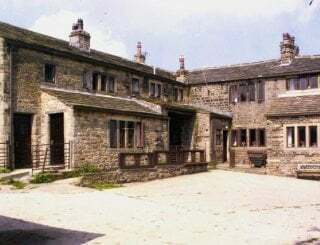 Two twin bedded rooms, two 4 bed bunk rooms plus one large 8 bed bunk room with exposed feature stone walls and roof beams. 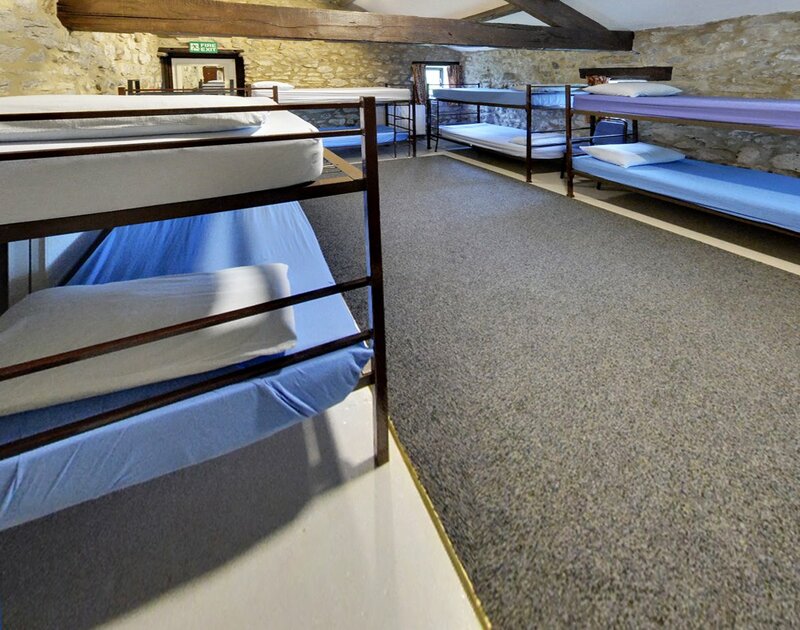 All beds equipped with fitted bottom sheet plus pillow and case and a blanket. Please bring quilts and covers or sleeping bags plus your own towels. 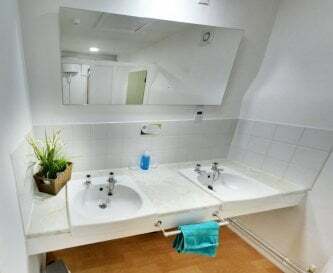 Downstairs toilet/shower room. Upstairs men's and ladies wash rooms, both with 2 toilets, 2 wash basins, and a shower. 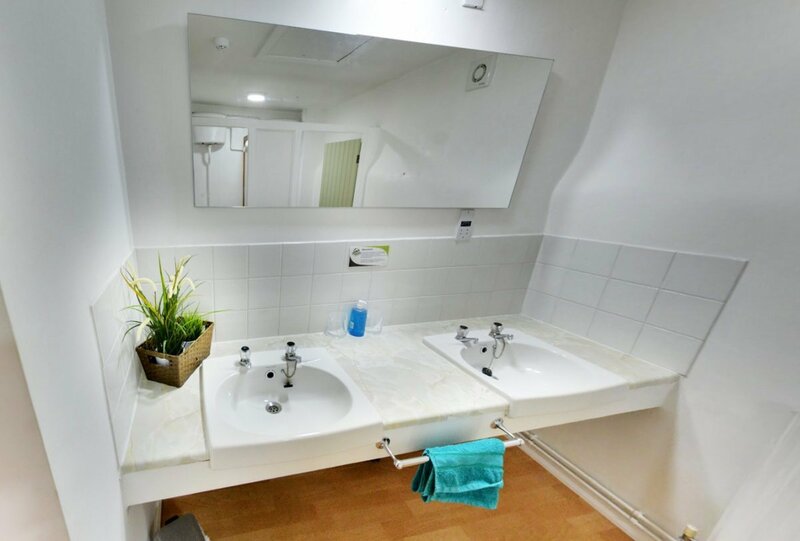 Downstairs toilet/shower room with hand rail and seat. 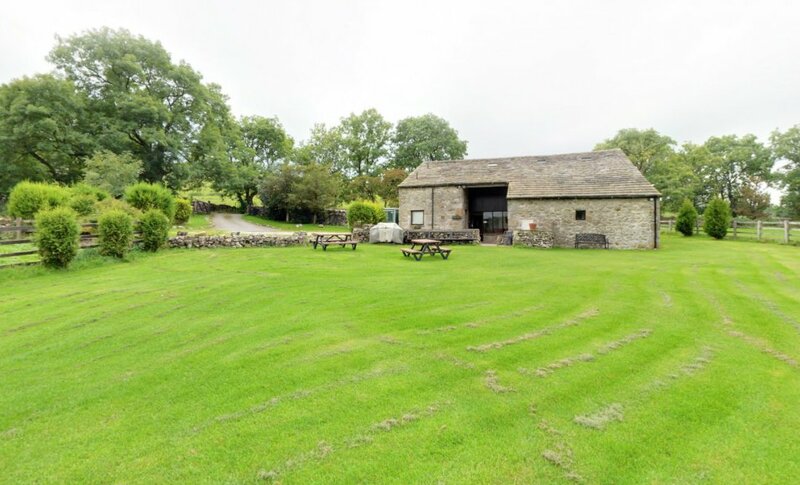 Large lawned area surrounding the barn safe for children to play. Outdoor wooden tables & benches. Large barbecue & patio. 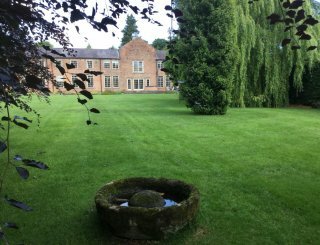 There is a swimming pool and leisure complex at Long Ashes Park, 2 miles away. We have private secure parking for approximately 10 vehicles. We have a strict No Smoking policy inside the premises. Accepted only on express prior agreement with owner, at additional charge. 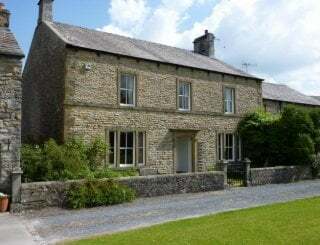 Situated centrally within the Yorkshire Dales National Park. 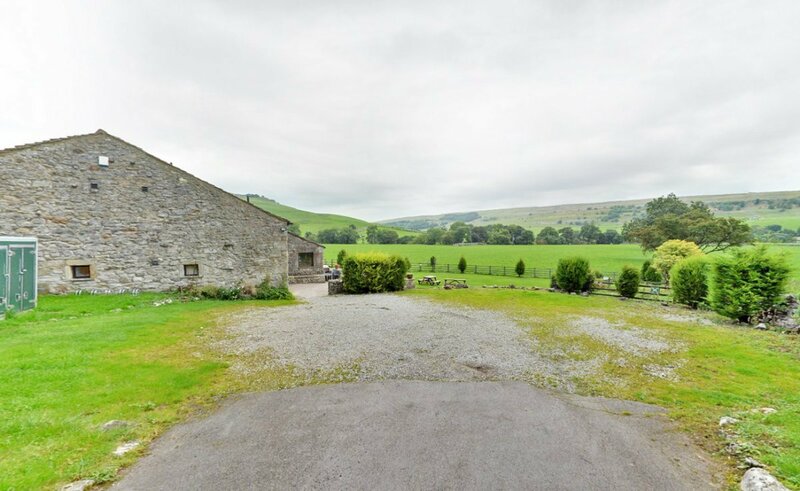 Adjacent to the valley road half way between Grassington and Kettlewell. 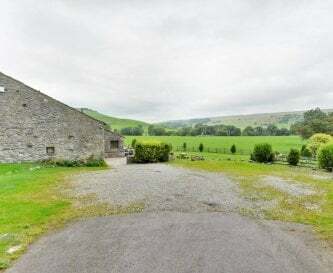 20 minute drive to Skipton. I hour drive to Leeds. 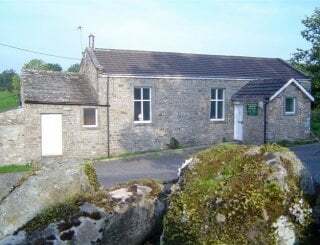 Grassington is a 10 minute drive and has a bank, Post Office and mini-supermaket. 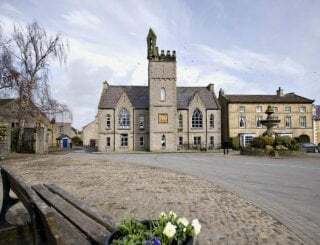 The market town of Skipton is a 20 minute drive and has a full range of shopping, banking, and transport facilities. 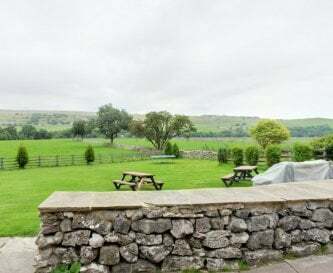 The Tennant Arms in Kilnsey is a 10 minute walk and serves real ales and excellent bar meals. 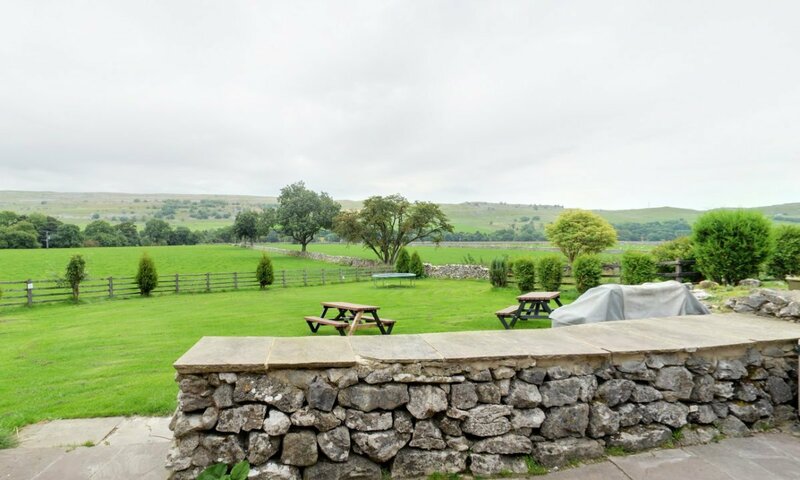 Also several good pubs in Kettlewell and Grassington and throughout the dale. 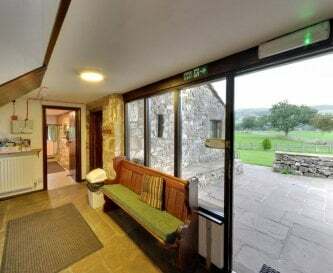 There is a cafe in Kilnsey. 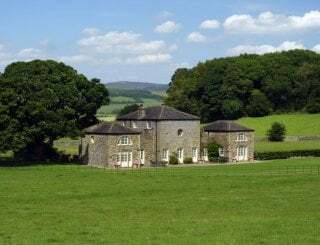 Weekend - Friday 4.00pm till Sunday 12.00pm (extra hours may be available). Weekday is 4.00pm till 10.30am (ditto). Full week is Friday to Friday. Deposit of £200 to reserve dates. A £150 refundable Tidy-Up & Breakages bond is charged. Please contact for customised quotes by either email or phone. 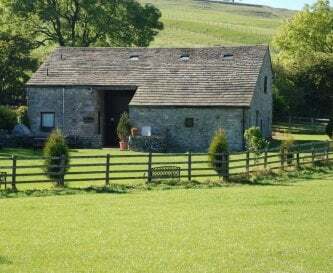 The local bus service up and down the dale passes the bunk barn. Leeds Bradford 1hr, or Manchester 1hr 30 mins.